An offshore oil and gas well in Australia leaked oil continuously into the ocean for two months in 2016, releasing an estimated 10,500 litres. But the spill was never made public by the regulator and details about the well, its whereabouts and operator remain secret. In its annual offshore performance report released this week, the National Offshore Petroleum Safety and Environmental Management Authority included a mention of a 10,500-litre spill in April 2016. It provided limited details about, noting that it had been identified during a routine inspection. After inquiries from the Guardian, Nopsema said the leak went on for two months, at a rate of about 175 litres a day. It went unnoticed while the floating platform was undergoing maintenance and was only discovered when the platform returned. A spokesman for Nopsema said the leak had been caused by a seal degrading. The regulator investigated the spill and said the operator had been ordered to check the seals were working before disconnecting the platform. But despite requests to reveal exactly where the spill occurred, or what company was responsible, Nopsema refused to disclose the information, revealing only that it was in the North West Shelf. The Nopsema spokesman said that since companies were compelled by law to report these leaks the regulator believed there was an “implied duty of confidence”. Unfortunately, the Canadian government isn’t consistently monitoring this threat, nor is it taking necessary action to address it. 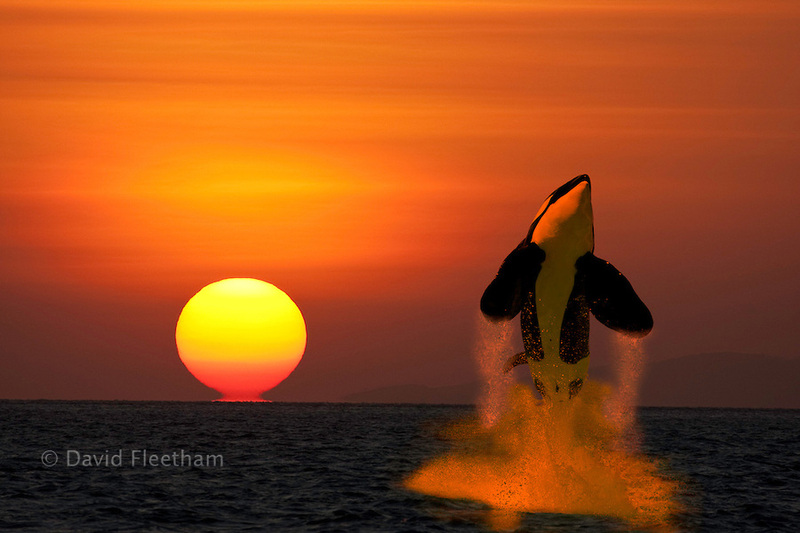 Help sea life escape the net. Sign the petition and call on Fisheries and Oceans Canada to take immediate action and reduce the collateral damage caused by unsustainable fishing practices. Up to 10.3 million tonnes of sea life is unintentionally caught each year around the world, captured in nets, lines and other gear. Some of this is kept and sold, or released safely; but far too much is put back in the ocean, either dead or dying. In Canada, this includes endangered and threatened species like whales, turtles, sharks and fish. Gulf of California, the narrow body of water that extends between the Baja Peninsula and mainland Mexico. Since 1997, around 80 percent of the world’s vaquitas have perished as bycatch, many in gill nets operated by illegal totoaba fishermen.
. Take the pledge that you won’t buy Mexican shrimp until Mexico ensures deadly gillnets are out of the vaquita’s habitat, and the vaquita population is recovering. 4. 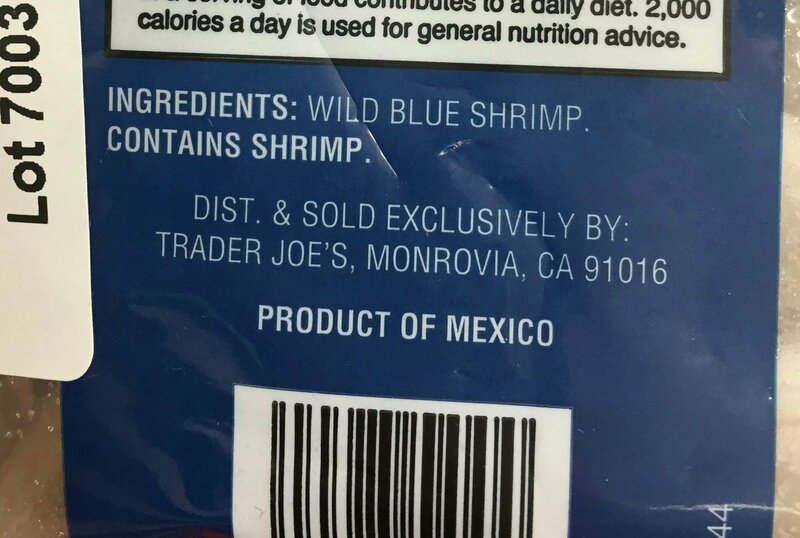 Share this campaign with your friends and family and ask them to Boycott Mexican Shrimp, too. You can download this flyer to share (print the PDF double-sided and cut the paper to have 3 flyers per sheet). Also, make sure to share your support of this campaign on social media, including Twitter and Facebook. Mexico said it will ban the use of gill nets for shrimp fishing in an area of the northern Gulf of California that is the habitat for the endangered vaquita marina porpoise. The national fisheries commission said on Wednesday the permanent ban on gill nets used in shrimp fishing will go into effect in September. The population of vaquita marinas has dropped sharply in recent years to the point that only about 60 survive in the northern Gulf of California, the only place in the world they are found. The species is believed to be headed for extinction unless conservation measures are adopted. Scientists attribute the decline to their being caught in the various types of nets used to catch shrimp, sea bass and sharks. A spokeswoman for the environmentalist group Sea Shepherd said the shrimp net ban was a “good start” but not enough to save the rare porpoise. “We would hope that they would permanently prohibit all types of gill nets,” said Sea Shepherd’s Oona Isabelle Layolle. Nets used to catch sea bass and shark are believed to also be used to illegally fish another endangered species, the totoaba, a type of drum that is much in demand in China. A temporary ban on the use of those nets has been in place since April 2015 and could be made permanent when it expires in April 2017, Rigoberto Garcia, a fisheries commission official, told AFP. The Mexican government has pledged to provide $70 million to help fishermen hit by the gill net ban to make the transition to other methods of fishing. China’s lucrative black market for fish parts is threatening the vaquita, the world’s most endangered marine mammal. The porpoises, who live only in the Gulf of California, are getting caught up as bycatch in illegal gill nets and killed. Please act now before it is too late. The world’s smallest and most endangered porpoise lives only in Mexico’s northern Gulf of California. Only 30 vaquita remain, after suffering decades of decline due to entanglement in shrimp fishing gear. Mexico’s fishery agency is failing to fulfill its promises to save the vaquita. Without strong action, these little animals could disappear from the planet forever by 2019. You can help stop the extinction. The Boycott Mexican Shrimp campaign is calling on Mexico to permanently ban all dangerous gillnets in vaquita habitat, step up enforcement, and remove illegal nets from the water. Join the Boycott Mexican Shrimp campaign and send the strongest possible message to Mexico: Act now or we lose the vaquita forever. The vaquita is the world’s smallest and most endangered porpoise, living in only one place on Earth—Mexico’s northern Gulf of California. 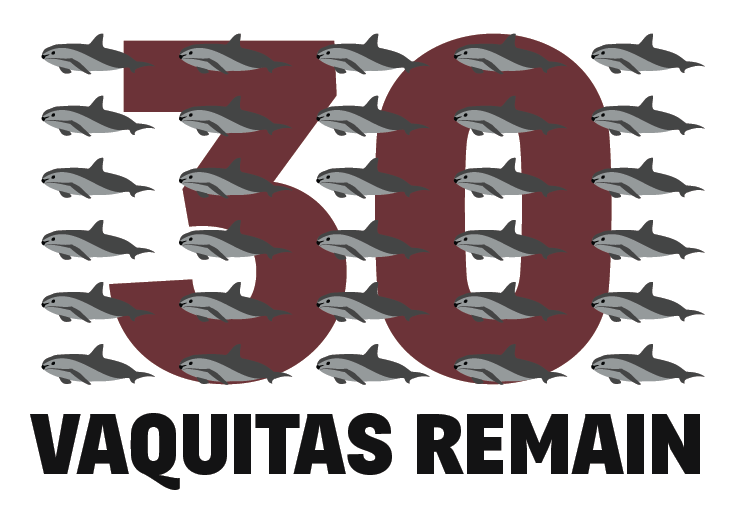 Only 30 vaquita remain. Half the vaquita population was lost between 2015 and 2016 alone. At this rate, the vaquita may be extinct by 2019—just 2 years from now. Vaquita face one major threat: entanglement in gillnet fishing gear. Gillnets are nets that hang down between two buoys and snag nearly everything that swims by, including vaquita. For decades, these nets were used in the Gulf to catch shrimp, supplying the lucrative market in the United States. From 1990 to 2010, the Mexican shrimp industry was primarily responsible for the loss of over 70 percent of the vaquita population, as the number of vaquita dropped from 700 individuals to just 200. By 2010, another problem emerged. Fishermen in the Gulf also began illegally setting gillnets to catch totoaba, a large fish that is itself endangered. 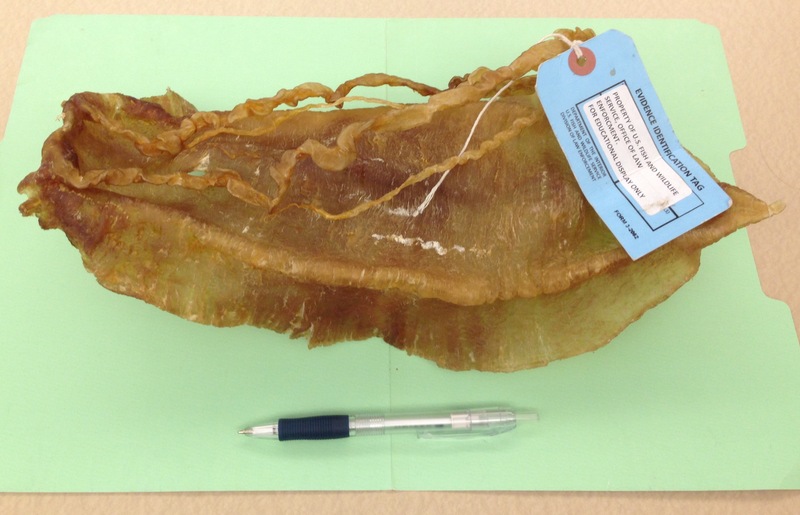 Demand for the totoaba’s swim bladder—which is used in China for soup perceived to have medicinal benefits—skyrocketed. A single bladder sells for astronomical prices, with some fetching up to $50,000. The vaquita population continued to plummet as a result, and by 2015, there were only 60 vaquita left. As of November 2016, only 30 vaquita remain. If this decline continues, our planet will lose the vaquita forever by 2019. Over the past 25 years, Mexico has proposed numerous plans to limit gillnet fishing and “save” the vaquita, including in 1993, 2005, and 2008. Each plan ultimately failed due to Mexico’s lax enforcement efforts. In April 2015, Mexico issued a new, two-year ban on most gillnet fishing in vaquita habitat. Once again, enforcement has been dismal. In March 2016, three vaquita were found dead due to gillnet entanglement. Many more likely died without being recovered. In late 2016, the Mexican government, Sea Shepherd Conservation Society, and Gulf fishermen conducted a 21-day search of a small portion of the upper Gulf. The search revealed 136 pieces of abandoned fishing gear, including 36 illegal totoaba gillnets and 36 illegal shrimp gillnets. In February 2017, 22 illegal nets were recovered, along with 16 dead totoaba, all with their swim bladders removed. In addition, 14 dolphins, a Bryde’s whale, and other marine species were killed. Recently, shrimp vessels have been caught fishing illegally in a vaquita refuge. And a loophole in the gillnet ban allowing continued gillnet fishing for corvina caused a spike in illegal totoaba fishing. Totoaba fishermen use the legal corvina fishery as cover for their illicit activities. Most disturbing, Mexico recently indicated it may lift the gillnet ban in April 2017. That would be a death knell for the vaquita. Humans are the intelligent species apparently,and we need to stop abusing animals now, for the sake of verifying our superior ability to stop destroying living things we believe we love. The global conveyor belt is a strong, but easily disrupted process. Research suggests that the conveyor belt may be affected by climate change. If global warming results in increased rainfall in the North Atlantic, and the melting of glaciers and sea ice, the influx of warm freshwater onto the sea surface could block the formation of sea ice, disrupting the sinking of cold, salty water. This sequence of events could slow or even stop the conveyor belt, which could result in potentially drastic temperature changes in Europe. An influx of freshwater from melting glaciers and increasing rainfall can slow — and possibly even shut down — the ocean currents that ferry warm water from the tropics to the North Atlantic. About 10 years ago, scientists warned of a possible abrupt shutdown of this “ocean conveyor belt.” After years of closely monitoring Earth’s flowing oceans, researchers say a sudden slowdown isn’t in the cards. Some researchers report that they may now be seeing a more gradual slowing of the ocean currents. Others, meanwhile, have discovered that Earth’s ocean conveyor belt may be less of a sea superhighway and more of a twisted network of side roads. The consequences of a sea current slowdown won’t be anywhere near as catastrophic as the over-the-top weather disasters envisioned in the 2004 film The Day After Tomorrow, says Stephen Griffies, a physical oceanographer at NOAA’s Geophysical Fluid Dynamics Laboratory. “The doomsday scenario is overblown, but the possibility of a slowing down of the circulation is real and will have important impacts on Atlantic climates,” Griffies says. Tracking sea surface temperatures, researchers reported last year that the Atlantic overturning circulation significantly slowed during the 20th century, particularly after 1970. Comparing the recent slowdown with past events, the researchers reported in March in Nature Climate Change that the rapid weakening of the circulation is unprecedented in the last 1,000 years. 2006: The long-term effects of climate change deserve immediate action. 2016: Taking action comes with other, more immediate perks. After decades of troubled negotiations and false starts, 195 nations from around the world gathered last December in Paris and agreed to take action on climate change (SN: 1/9/16, p. 6). The new commitment, to reverse the rise in greenhouse gas emissions and limit global warming to 2 degrees Celsius above the preindustrial level, would have seemed impossible 10 years ago. Delegates will meet in a few years to decide whether to target a more ambitious limit of 1.5 degrees. What’s changed is motivation, says Andrew Jones, a system dynamics modeler at Climate Interactive, a nonprofit organization in Washington, D.C., that works in partnership with MIT’s Sloan School of Management. Rather than focus on global climate benefits of curtailing fossil fuel emissions, which will take years to pan out, climate action is now increasingly driven by more immediate benefits, he says, such as improving public health. In February, researchers estimated that ambitious climate action in the United States would improve air quality enough to prevent 295,000 premature deaths by 2030 and save the economy hundreds of billions of dollars in medical costs. “It is an absolute scandal that young people have been persuaded by endless repetition that Carbon Dioxide is a pollutant and not an important part of the life cycle,” says Bright-Paul. What we see is that for many the idea of man made ‘climatechange’ has too long been unquestioned Holy Writ; totally bypassing the fact that despite a few decades of moderate warming earth’s Biosphere has been evolving for millions of years with long, barren Ice Ages and wonderfully fecund and all-too-short Warm Periods. “…. global warming is both vile and repugnant when this is forced on impressionable minds of children through indoctrination by our schools still teaching fraudulent IPCC dogma about catastrophic anthropogenic global warming using Al Gore’s “An Inconvenient Truth” as the only reference.